The ice is almost out on Lake Minnetonka. 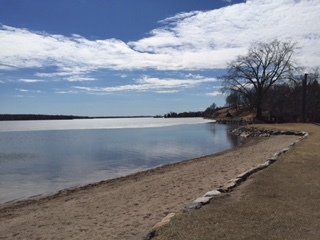 I took this photo while I was standing on the beach at Wayzata Bay across from my office. The mild temps certainly make for a more pleasant run home from work these days. Won’t be long before boats return from their winter storage and the lake returns to busy summer activity.